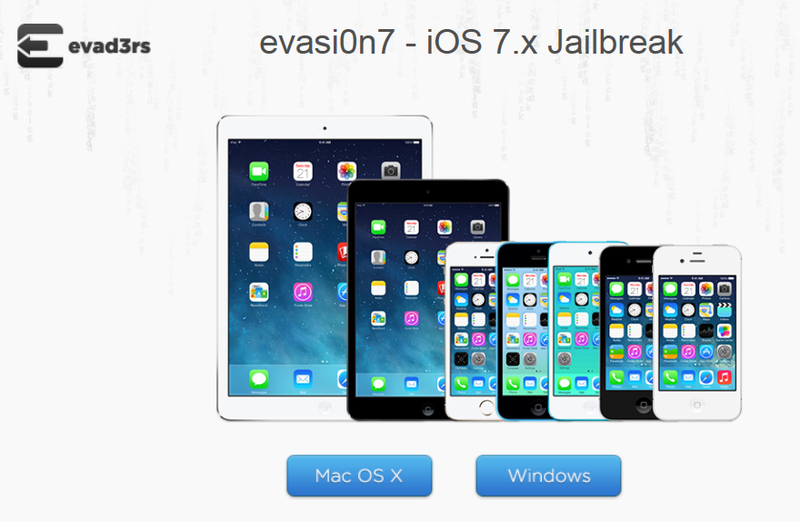 The evad3rs have released the latest version of evasi0n that jailbreaks all devices running iOS 7.x at the moment. The release works for the operating systems Windows, OS X, as well as Linux. If you updated OTA (over the air) you will want to back up your device and do a fresh restore using iTunes. Also, remember to remove any passcodes used to access the device before beginning. As nice as it is to have a JB, the whole thing is a mess. Rushed release, compatibility issues with Cydia and Mobile Substrate, iOS 7.1 is just about to be released and most likely breaks the JB (unless that's why the release rush). So you basically end up with a JB, that is hugely limited in its intentional purpose. You are on an iOS version that soon will be replaced by iOS 7.1, with no chance to restore back to a jailbreakable iOS version. So, DO NOT leave iOS 6.1.2, if that is your current iOS. This JB is only for 5S &5C, which came with iOS 7 already installed, but atm this JB is not much worth. Events like this make Android OS devices suddenly look very very attractive, no waiting for a JB, huge choice of custom firmwares and hardware that outclasses the iPhone for half the money.